Cook potatoes in a large pot of cold, salted water over high heat and bring to the boil. Reduce heat to medium and cook until tender. Drain and set aside to cool. Cut each potato into half and place in a large bowl. Cook asparagus in a medium pan of boiling, salted water for about 2 minutes or until tender. Pat dry with paper towels. 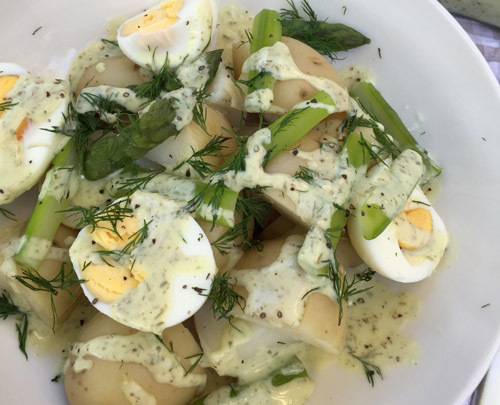 Add the asparagus, capers and dill into the bowl of potatoes. 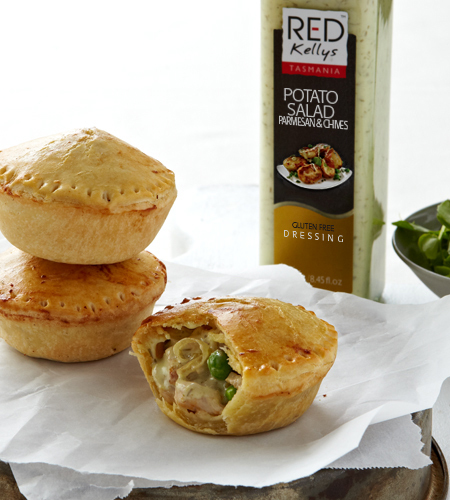 Mix it all up with Red Kellys Romano & Chive Dressing and season with some salt and pepper before serving. Enjoy!